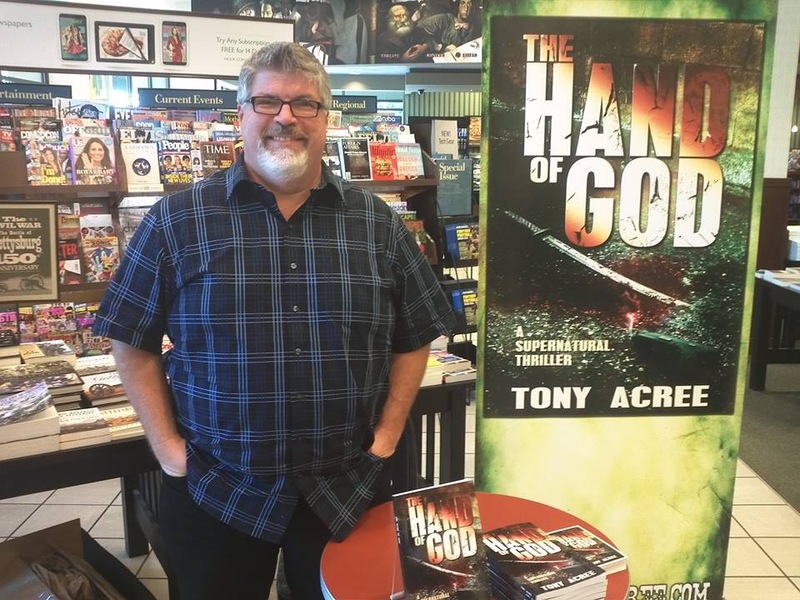 I’d like to thank Marty, Tim, Brad, Georgette and Austin for making my book signing of The Hand of God, at Barnes and Noble at the Summit a fantastic success. I almost doubled my expected sales and the fine folks at B & N could not have been nicer. They put me right up near the front door, so people had to pass by me to get to the “big name” authors and I got to meet many a fine folk. Add in they kept bringing me Starbucks coffee (you guys know how much I love my Starbucks) and what else could an author ask for? The new banner drew lots of attention, so my added thanks to John Carreras and everyone at Discount Banners for doing such a great job on producing mine. I would also like to give thanks to Ron and Mel at 84 WHAS in Louisville. Several people who bought books mentioned they heard the shout out on the Saturday Morning show. And lastly, thanks to all my friends who came out and visited during the signing. Barnes and Nobles thanks you for buying something while you were there. It’s like I have a posse! Thanks to author Michael Turner for the pic. Way to go, Tony! 🙂 Your posse is rightfully deserved. My thanks, Etta Jean. I have wonderful friends who are a great support for my writing. Nice! Proud of you, cuz! Looks like the book has been successful. Good job! The book is doing really well. Thanks, Cuz!